The goal of the 21st Century After School Programs is to offer students district wide, academic enrichment programs as well as a rich selection of programs in the areas of visual and performing arts and, nutrition and fitness. The hope is that through consistent attendance in after school programs beginning in kindergarten and extending into seventh grade, learning in the day program will be enhanced. All after school programs are planned using the Massachusetts Curriculum Frameworks, which are guidelines for learning, teaching and assessments for the Commonwealth’s Public Schools. 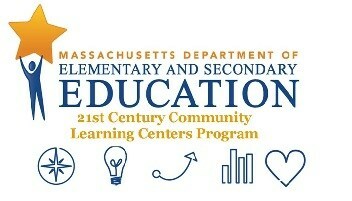 We are currently in our nineteenth year as a 21st Century Community Learning Center. The North Adams Public School District is the recipient of a grant from the Massachusetts Department of Elementary and Secondary Education and the NAPS after school site has been recognized for its excellence in programming and designated as a demonstration site. As a demonstration site we will invite other after school coordinators around the state to visit our program. We will share with other schools our best practices to help improve their sites. We strive to become the leader on the best learning styles for children. We're excited to kick off our 2018 -2019 school year program on October 15, 2018. Enrollment information will be sent home with your child in September.